You know you need to buy new clothes to accommodate your growing body during pregnancy — but did you know you may need new shoes as well? You probably expect your feet to swell when you’re expecting, but you also need good footwear to provide stability and support as your weight increases and your center of balance shifts. To make sure you stay comfortable and prevent injury, you need to choose the right shoes. But functional shoes don’t have to be ugly! Here are are our top picks for shoes that are cute, comfy, and will provide great support during pregnancy. Use the links above to check the latest prices or read our in-depth pregnancy shoe reviews below. Why Are Shoes Important During Pregnancy? 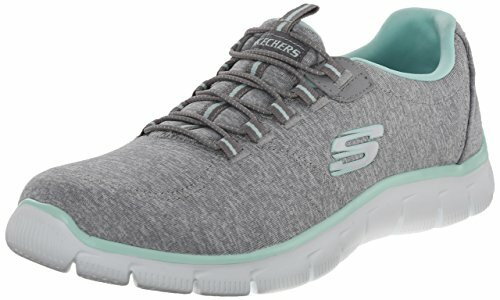 Do I Need Different Shoes for Pregnancy? While you’ve probably heard at least one “barefoot and pregnant” joke by now, shoes are an overlooked but vital part of your wardrobe — and it goes way beyond how cute they look with your outfit. Shoes offer protection from potential hazards that can cause not only injury but also potentially disease (source). Cuts from sharp objects or uneven terrain. Sprained ankles or other injuries due to poor grip. Back, hip, and neck pain. While there are many different parts of a shoe, these are the main ones you need to know when shopping for shoes while pregnant. Sole: The sole is the bottom of a shoe, or the part between your foot and the ground. It’s often composed of rubber or non-skid material. Upper: The upper is the part of the shoe that covers the foot, or everything above the sole. The upper can be constructed from any number of materials based on style, expected performance, and comfort. Insole: This is a piece that sits between the wearer’s foot and the sole to provide added cushioning and comfort. It’s often removable. Firstly, your feet will grow — up to half a size during pregnancy — and this change may be permanent (source). Your old shoes may be too tight and uncomfortable as your pregnancy progresses. Your feet will swell, too. Water retention is common during pregnancy, and especially after a great deal of use your feet and ankles may swell. Restrictive footwear might quickly become difficult to put on if this happens to you. Your weight will increase. This naturally puts more pressure on your joints and feet. Good footwear with proper arch support will not only help to keep your feet comfortable but help you maintain good posture and prevent pain in other parts of your body— like your hips or your back. Finally, you’ll be at greater risk for falls. Not only will your center of gravity shift upwards as your belly grows, but your body’s production of the hormone relaxin will cause your joints to be looser (source). Choosing sensible shoes can help minimize your risk of falls, which could be dangerous to both you and your baby. While every shoe is manufactured differently, various styles have different benefits. Athletic shoes: Athletic shoes offer comfort, stability, and a non-skid surface. They also provide solid arch and ankle support. However, athletic shoes fully cover the foot so they may be hot and tight for swollen feet. They also most often have laces, which can be difficult for pregnant women if they’re not able to bend down and do them up. Sandals: Sandals are often more forgiving than athletic shoes in that they allow the feet to breathe and have more space. However, many still do have fasteners — and if you need to wear compression stockings, they can be unsightly with open-toed sandals. Flats: Flats are easy to slip on and off, and provide adequate space for feet and ankles to expand. They can also be worn with compression stockings without looking out of place. However, certain flats (like ballet flats or slippers) provide little to no arch or ankle support, so they can quickly become uncomfortable. Flip-Flops: Flip-flops (also known as “thongs”) come in many different variations. The cheaper ones provide very little in the way of arch support, but some higher-end versions are much better for the feet. They’re great for pregnant women because they’re easy to put on and allow the feet to expand, but they’re impossible to wear with compression stockings unless you wear ones without toes. It’s also essential to wear flip flops that fit correctly and are constructed well to prevent tripping. Boots: Boots offer warmth and great ankle support. However, they can be challenging to get on if you struggle with swollen ankles, enlarged calves, or bending over to tie your shoes. When choosing shoes to wear while pregnant, try to keep the following things in mind. Slip-on: Slip-on shoes are a pregnant woman’s best friend. Not only do they allow swollen feet to get in and out easily, but you don’t have to figure out how to bend over and tie them. Rubber soles: Rubber is a fantastic shock absorber and can help alleviate some of the joint discomfort associated with pregnancy. They also provide great grip which can help you avoid slips and falls. Low heel: A low heel offers more stability than a high heel, and more support and protection than ballet flats. Arch support: To prevent foot pain, choose a pair of shoes with good support in the arch, which is in the center of the bottom of your foot. During my final trimester, I felt like an absolute whale — the last thing I wanted was an ugly pair of shoes on top of everything. I was determined to find something that wouldn’t make my already aching feet worse, but that didn’t mean I wanted to throw style out the window. I knew I had to find a shoe that both looked good and felt good. There are few shoes more comfy than a good sneaker. Manufactured specifically to withstand shock and offer you comfort, athletic shoes can be a great footwear choice during pregnancy — if you can find the right one. Choose those without a high, tight ankle, and which can be slipped on so that you can wear them no matter the size of your ankles (or belly). These sneakers are super fashionable, and you don’t even have to lace them up. 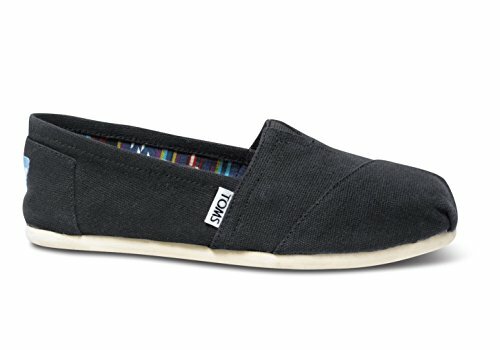 They’re designed as slip-ons and even have air-cooled memory foam inside to help you stay comfortable. The midsole has built-in shock absorption, and the uppers are flexible enough to accommodate a foot that may or may not be swelling. And the non-skid sole will help to prevent slips, keeping you safe and upright whether you’re working out at the gym or just hanging around your house. Convenient slip-ons so they won’t take forever to put on. They have a super comfortable memory foam sole. They don’t come in wide sizes. Unless you plan to have your husband to tie your shoes for you every morning, you’ll be switching exclusively to slip-on shoes sometime mid-pregnancy when you can no longer reach your feet. Choose ones that you can easily slip on hands-free, but that also provide adequate arch support to keep your feet comfy. 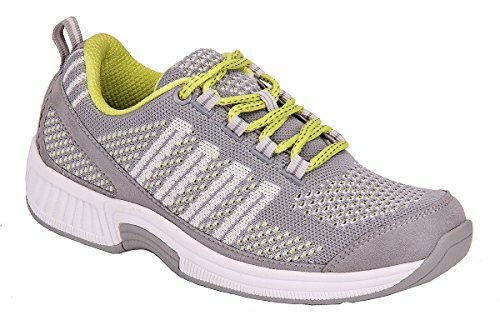 These shoes have an orthotic insert included helping keep your feet happy, healthy, and comfortable. The upper is made from breathable mesh, which will allow the shoe to “give” a little if you need the room while still offering adequate support. The sole is made from rubber to help keep you from slipping, and it also provides shock absorption to alleviate the stress on your joints. And finally, the slip-on design means you won’t have to figure out how to bend over and tie your laces. It has an orthotic insert. They can only be hand washed. Not only are swollen feet a major annoyance, they can also be painful. To prevent even more pain (and blisters), choose shoes that provide plenty of room for your feet without constricting them. These shoes are great for your swollen feet because they don’t have a restrictive ankle, allowing ample room for them to expand if need be. The tend to run a bit large anyway, and the canvas material has a lot of give, keeping your feet comfortable as your swelling goes up and down, depending on the day. They have a non-skid, synthetic sole to help prevent slipping. 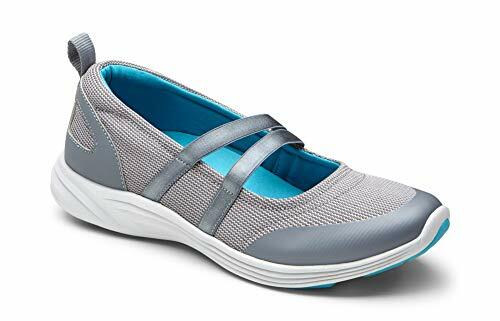 And even though they’re called “flats,” they do have a supportive insole with some arch support to help prevent the bottom of your feet from becoming fatigued. Your purchase helps a charitable organization. There are many color options available, in a chic, minimalist style. They’re not available in wide sizes. The canvas may stretch and lose its shape over time. Some women find they wear down pretty quickly. Your feet need to breathe in the warm weather, and they’re probably going to swell, too. Sandals are a great option as long as they fit well and don’t have the potential to be a tripping hazard. Choose a pair that won’t require you to bend down and fasten them, and that also offer good construction and arch support. Crocs have quite the reputation — for incredible comfort paired with incredible ugliness. Thankfully they’ve expanded their line and now have these new sandals which happily combine both comfy and cute. The design will accommodate a swollen or expanding foot, and the rubber sole will keep you safe from slips. Added traction will also help keep you upright, and a foam cushion will keep your feet comfy. The contoured foot offers adequate arch support, and the low heel holds your foot in a proper anatomical position. Waterproof so that you could take them to the beach. Not available in half sizes. The uppers are made of a plastic/synthetic material, which might aggravate the skin. Though comfort is king, fashion is still important. For events where loafers or flip-flops won’t do, choose shoes with a low, wide heel (avoid stilettos, ladies) to keep your feet happy and prevent you from losing your balance. These have memory foam in the footbed to keep your feet from aching after a long day. They have a wide, low heel that provides some shock absorption and keeps your foot in its proper posture, helping to prevent joint pain. Made from textiles and synthetic materials, they may not be as flashy as the shoes you used to wear, but there are still several different cute designs to choose from. You can jump back into those heels after the baby comes — but for now, you might want to stick with conservative footwear to preserve your comfort. Memory foam in the footbed. It absorbs the shock of impact when walking. Some reviewers found that they rubbed. You don’t want your feet to ache — or your hips, back, or neck, for that matter. Paying close attention to the level of arch support in your shoe can make a world of difference in your overall comfort. This shoe combines the comfort of an athletic shoe with the ease of a sandal. 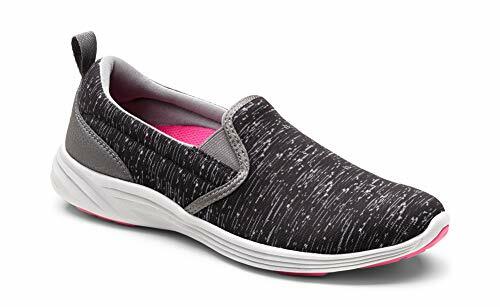 The slip-on design allows you to put them on hands-free, but the adjustable laces will help to ensure a snug, custom fit regardless of whether your feet have swelled up or not. The upper is full-coverage and offers your foot support and protection. They’re also breathable to keep your foot from overheating when you wear them. Finally, they’re lightweight but still offer good arch support to help prevent joint pain or injury. Breathable so that you can wear them in hotter weather. They’re lightweight and will pack easily. They have great arch support. Slip-on style so you won’t need to bend over to put them on. They don’t offer ankle support since they’re completely open at the heel. A long, narrow shoe, which might not work for some foot shapes. If you’re struggling with back pain, you need to be nice to your feet. Choose shoes that have well-cushioned insoles, rubber soles to absorb as much of the shock as possible, and good arch support. These shoes were specifically designed with foot-related pain and medical conditions in mind. The orthotic insole includes a gel pad at the heel along with fantastic arch support to minimize stress. They also have air pockets under the feet to help with shock absorption, and the uppers were designed to minimize pressure points. While they do come with traditional laces, you can always swap them out for the elastic no-tie versions they sell for kids, so you don’t have to bend over and tie them as your belly grows. Designed primarily for foot health. They absorb shock while walking, which makes a big difference to joint pain. They may be too hot in summer. Sometimes mama just feels like wearing boots — and with these, she still can. 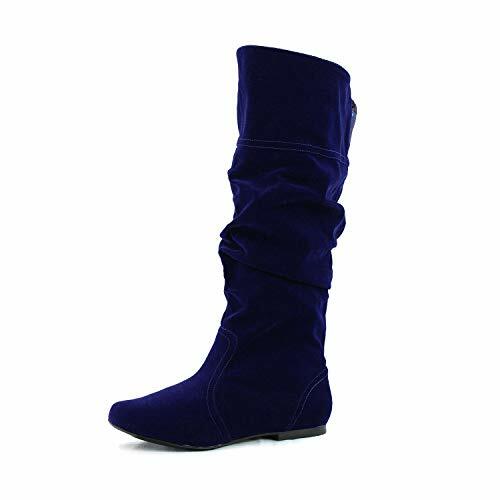 Boots for pregnancy should have some give to accommodate your expanding ankles, and should be easy to pull on, so you don’t have to bend down and zip them up. But most importantly, make sure they have a non-skid sole so you don’t have any accidents while wearing them. 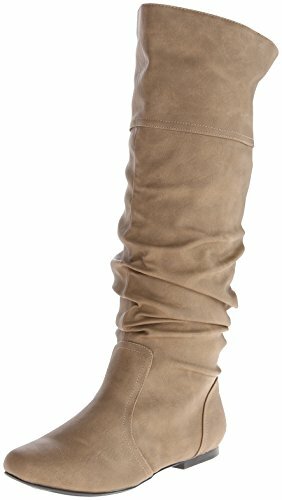 Thankfully, riding boots and slouchy boots are still in style — because that’s how you can pull off boots during pregnancy. The slouch style means it has a less tight-fitting ankle, allowing slightly enlarged or swollen feet room to wriggle. They don’t have zippers, so you don’t have to worry about bending over to fasten them. The sole is rubber which will help keep you from slipping on certain surfaces, and the low heel means they won’t negatively affect your balance. Finally, they are vegan-friendly as they contain absolutely zero animal products. Not the highest quality boot out there. You need to keep your feet warm, but you also need to make sure you’re not slipping on the ice outside — all while making sure your ankles can still fit into your footwear. For winter time, choose shoes that have a rubber sole, supportive (but flexible) upper, and full foot coverage to keep those tootsies toasty. 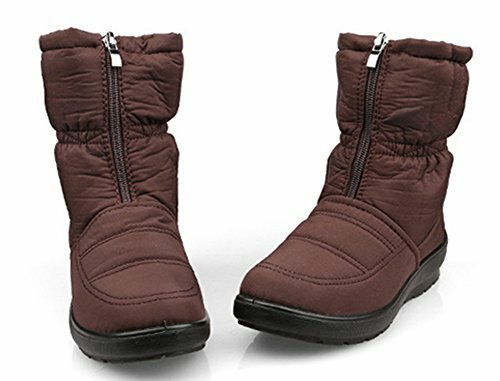 These boots are waterproof and lined with fleece to help keep your toes warm and dry during the winter months. Their fit is loose, so they still offer plenty of room for your expanding feet and ankles. While they’ll need to be fastened, the simple zipper is easier to manage than traditional laces. And the low heel and non-slip soles will help to keep your feet solidly and comfortably on the ground to help prevent slips. They’re waterproof, making them reliable in snow or rain. Lined with comfy fleece for warmth. They need to be zipped. Some have complained that the zip gets stuck easily. Pregnancy woes can worsen in the summer, with the heat causing you to feel as swollen and uncomfortable as a beached whale. Don’t let it get you down! These comfortable and cute sandals keep you cool and having fun on your summer adventures. A few different materials are used to ensure comfort and support. The midsole is made of a lightweight, flexible vinyl material (EVA) to absorb shock and reduce stress on the feet, ankles, and knees. The durable rubber outsole provides traction on a number of surfaces, including sand, and the soft nylon webbing uppers prevent chafing. Best of all, they’ve been biomechanically designed to hug your arches, which is great for alleviating heel pain. A small row of rhinestones will help pregnant moms feel a bit glamorous on the rough days. Invest in these sandals and you’ll be enjoying summertime fun during your pregnancy, and beyond. Proven to effectively alleviate heel pain and provide essential support. Rhinestones offer a fashionable touch. The rhinestones may fall off. Not a great choice for moms on a budget. My top pick is the Skechers. Not only did I wear them throughout my pregnancies, but I’m still wearing them to this day — even though I can tie my own shoes again. They’re super easy to slip off and on, incredibly comfy through even the longest days, and provide adequate support to prevent joint pain or injury. Plus, they’re dead cute. It’s easy to overlook the fact that your footwear needs will change during pregnancy when everyone’s main focus is on your growing belly. What’s been the most unexpected change you’ve encountered while pregnant? I highly recommend Xpand Laces! Their lacing system basically converted all my shoes with laces into slip-ons so I didn’t even have to buy new shoes! Love them! Thanks for the suggestion Jennifer, sounds neat! A few of my friends tried the MommySteps maternity insoles and absolutely loved them. They were able to keep wearing their normal shoes but with the added support of an insole. As a nurse, I personally love slip-on shoes and usually add an insole to support my high arched feet.